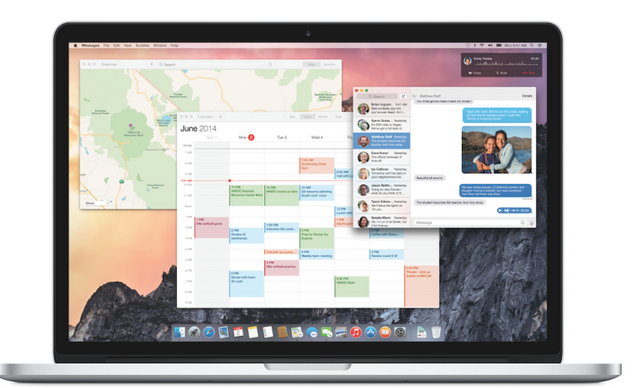 OS X Yosemite was officially released yesterday for both desktop and laptop platforms. 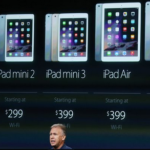 Users can now wirelessly drop files from Macs to iOS devices using AirDrop. Simply go to the AirDrop Menu, locate your companion device and click send. The transfer can be done across a Wi-Fi signal making it easy to send big files. Move over Google, Apple has now made their spotlight search so user friendly and powerful that it can now search not only for files and apps but it can also pull up web searches and quick facts from Wikipedia. There is even an option to access movie listings from Fandango. Whether you are using Safari, Apple Mail or the Apple Calendar, now all of your data will be transferred seamlessly across to both your Mac and other iOS devices. Dubbed “handoff” the feature is currently being expanded to work on other apps as well. While this feature has been around for a while, OS X Yosemite takes it to a whole new level. Now a dialog box pops up showing you incoming calls. You can choose to answer or decline the call on your Mac or take the call on your mobile device. Text messages on your Mac have now been expanded to include everyone (hello Android friends), not just those who were also using an iOS device. The new OS X Yosemite makes it so tempting to switch all household devices into the Apple ecosystem, for seamlessness and convenience. The new Yosemite update was also definitely designed to make integration between all of Apple’s devices easy and painless.